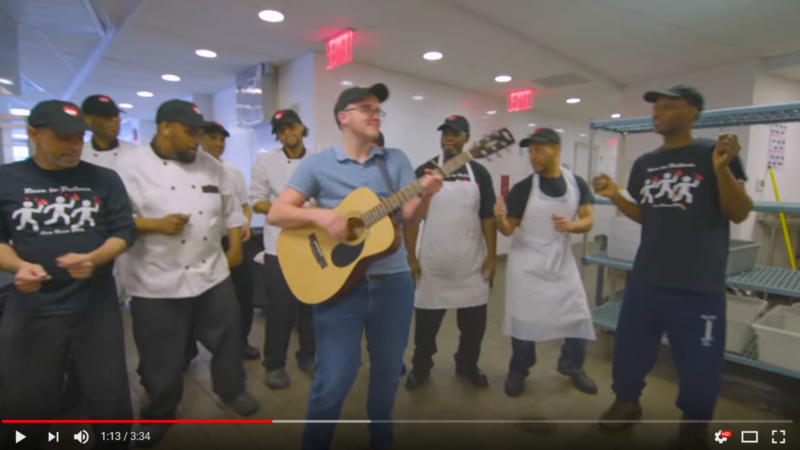 Our volunteers help chop and peel veggies, pack out burgers, season chicken, and more! If you like to cook, this is the job for you. Meal Packaging involves packaging our nutritionally designed menus into bags for delivery to our clients. Walking delivery volunteers take an hour or two during lunch time on Wednesdays and Fridays to deliver in the neighborhood. Office tasks range from listening and responding to client voicemails, entering client information into our client database, and conducting telephone interviews with clients for service enrollment. Client Meal Delivery volunteers will ride along with a staff driver and support the home-delivering of meals to our clients. 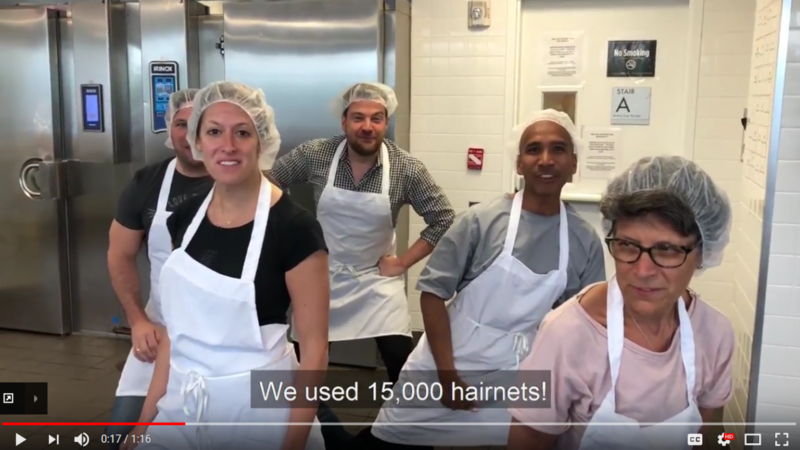 Without the help of our amazing volunteers — more than 14,000+ strong every year — we simply would not be able to cook and deliver over 7,200 delicious and nutritious meals each weekday to our neighbors in need. 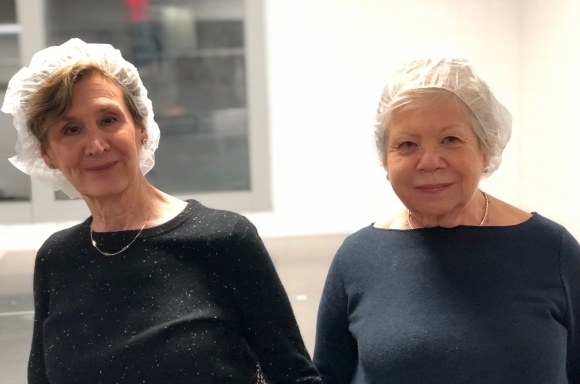 Outnumbering our staff by a ratio of more than 100 to 1, volunteers work in the kitchen, deliver meals and work in meal packaging, work in our office and help out with special events. We have opportunities for corporate, community, and student groups, as well as individuals. View all of our opportunities here. 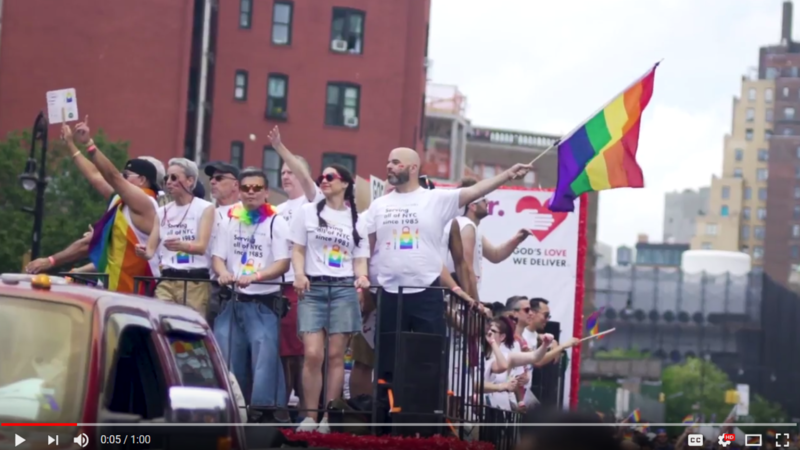 For more information, you can contact our Volunteer Office at volunteer@glwd.org or 212.294.8158. Our most-needed shift, you'll ride as passenger in our delivery van and assist our staff in delivering meals to our clients. For more than three decades, God’s Love We Deliver has been providing the medically tailored, nutritious meals that our clients so urgently require. From the very beginning, we recognized the force of the tremendous heart of our volunteers. Today, we are proud and humbled to have the help of our now 13,000 individuals who give their time and talent to God’s Love every year. No Tank Tops in the Kitchen! At God’s Love We Deliver, we are committed to maintaining the highest possible standard of food safety for our clients living with severe illness. 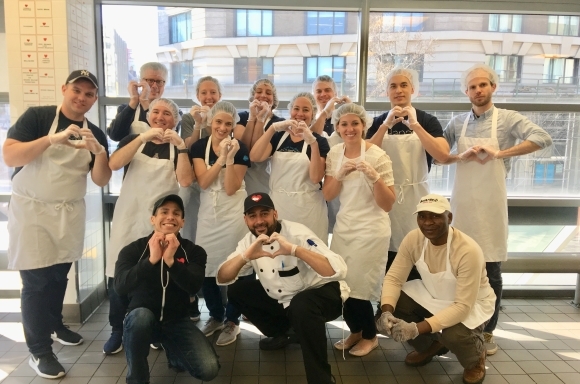 It’s important to our staff, our volunteers, and our clients to know that every single one of the thousands of meals produced in our kitchen each year has been prepared with a commitment to quality, nutrition and love. Every year our volunteers help us reach new heights as we deliver more meals and reach more people than ever. Check out all the fantastic milestones we have reached this year -- we couldn't have accomplished so much without you!